Welcome to my homepage! This page is basically about me, my interests, and a few extras scattered here and there. Feel free to browse my pages, and e-mail me if you have any comments, suggestions, etc. What you see is what you get, however! If there's something you'd like to see here, let me know! For those that are looking for NASCAR 4/NR2002/NR2003 tracks, click here. 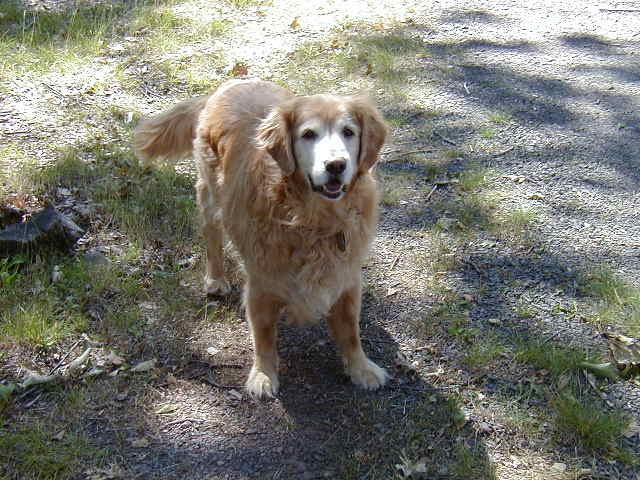 Ripken: 1/21/1990-9/18/2003. Go rest high on that mountain, little buddy. We're gonna miss you. Designed by Dave Hahn of Graphic Wolf Art. Thank you to everyone who has downloaded the tracks and thank you for your support. To install it unzip it to your tracks directory, copy your atlanta.dat file into the new atlanta_1997 folder created by the zip file, and rename it atlanta_1997.dat. Thanks to Ironhardt at the RSC board for the graphics update. Joe Wells' AI update for Atlanta 1997 version. Extract the files to your tracks/atlanta_1997 directory. If you want less side by side racing rename the race1.lp file race.lp. BE SURE TO READ THE README FOR THE 2002 VERSION OF THE ROADCOURSE! IT CONTAINS INSTRUCTIONS OF HOW TO GET THE TRACK TO WORK! If you're having trouble opening either track, make sure you save to your hard drive first. When you get the option to open or save, please select save. Tracks were created by WhiteFalcon and BrianZ. Awesome job guys! Please visit their sites and send all bug reports to them. These AIs are for Nascar Racing 2003 Season.